If you know anything about fighting game star Dominique “SonicFox” McLean, you probably know that he’s gay – a gay, black furry, to be specific. He’s brilliantly vocal about his identity, whether on Twitter or on stage after winning Esports Player of the Year at The Game Awards. 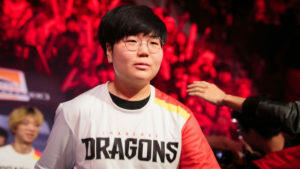 If you know anything about Overwatch League competitor Kim “Geguri” Seyeon, you probably know she’s a woman, but you might also know that she’d rather you didn’t focus on that. “Being looked up to because I’m female… that’s not how I want to be known,” she once told ESPN. These are just two individuals, but, as a queer woman, it’s easy to see a pattern emerge. While it’s hard to find anyone quite as brilliantly loud about it as SonicFox, many LGBTQ+ esports competitors do often celebrate their sexualities. Female professionals, on the other hand, tend to prefer not to talk about gender. These two things aren’t directly comparable. People who are known to be LGBTQ+ have to specifically come out: if they say nothing they’re assumed to be straight. The same usually can’t be said for women. In short, out LGBTQ+ players have already made the decision to share their identity, while women are forced to. It’s not surprising, then, that the former group would be more comfortable talking about it. However, there are similarities. Crucially, both groups can face discrimination that complicates their participation in esports. To use our earlier examples, SonicFox has received plenty of homophobic comments that go far beyond the standard trash talk, specifically targeting him as a gay man. And though she rarely talks about these kinds of issues, Geguri has mentioned wanting to use a voice changer in ranked Overwatch games before going pro, because hearing a woman’s voice would cause people to become abusive. Both of these contribute esports being unwelcoming and therefore lacking in LGBTQ+ people and women. Speaking out in this way, or just being visibly and unapologetically LGBTQ+ in the first place, is important to those in the queer esports community. There’s a reason SonicFox is so popular, and it’s not just his talent and hard work. Seeing gay professionals makes the space seem that much more welcoming, and seeing them refuse to minimise themselves to fit in feels empowering. That same feeling is incredibly difficult for women to find. There are very few female pros willing to continually and prominently speak out against sexism they’ve faced in the way that SonicFox does – which is a completely acceptable individual choice. If, for example, Geguri has no ill will towards another Overwatch League player who was once part of a harassment campaign against her, those are her feelings and they are in many ways admirable. There is a multitude of reasons why women don’t want to talk about misogyny, from the fact that it’s often boring and tiring to the fact that it will likely cause further harassment. But it does cloud the issue, especially when any conversation can be interrupted by people saying the women in question don’t want to be spoken about. Again, this isn’t the fault of any woman in particular. It’s just that, for someone who shares both identities, being able to see and celebrate queer professionals comes in stark contrast to the lack of outspoken women. 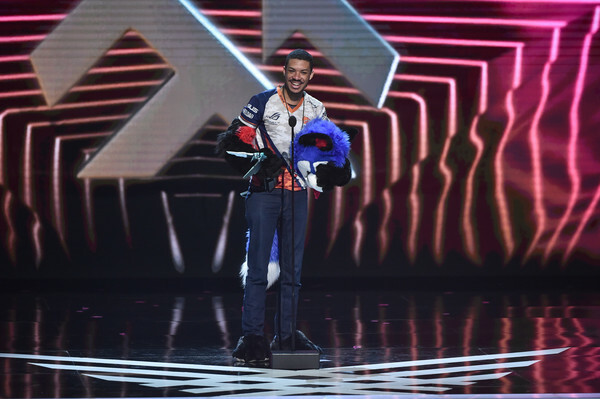 When SonicFox stands on stage at The Game Awards, clearly nervous, and says that he’s “basically everything a Republican hates,” it’s a joyful experience for the community. It overshadows the day to day grind of dealing with homophobia in comments sections, on Twitter, and even from prominent members of the industry. You can find sexism in all those places too, and it can be just as draining. But neither is there that sustaining ray of sunshine. A few months ago, a woman named Ellie joined an Overwatch Contenders team. 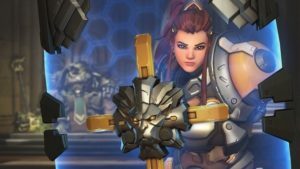 Many female fans were excited to see more representation, even if it was only in professional Overwatch’s second tier, but one of the things that seemed significant about Ellie was that she was vocal about the harassment she faced. She tweeted screenshots of men threatening to dox her to find out who she really was, and she and friends discussed how men would throw their ranked games when they heard female voices. There was a sense that things might be shifting – a small shift, but a real one. People were paying attention to Ellie; believing her. Women in the community were thrilled that they finally had a prominent voice pointing to things that they had been saying for years, and that others might actually be listening. That’s why it was so heartbreaking when it turned out that Ellie was a hoax – a man pretending to be a woman, allegedly for a “social experiment.” All of the aggression from the community towards a perceived woman was real, but the hope was fake. And while the situation still would have been frustrating if Ellie was only one of several women in professional Overwatch who spoke often and loudly about sexism, losing what felt like the only one seemed far worse. This is not an easily fixable issue. Not only are there few professional women to speak up in the first place, there’s hardly an incentive for those who have made it to put their heads above the parapet. Moreover, women minimising themselves is hardly exclusive to esports. As with everything, the slow creep of change takes time. At least with more people looking up to openly LGBTQ+ professionals, being proud of your identity is beginning to be normalised. And in the meantime, we should have plenty of SonicFox award acceptance speeches to look forward to.